How to serve perfect tea? Perfect temperature. With Marco MIX and Canton Tea Co.
Why is temperature so important? Well, tastes starts with temperature. A well-made green tea is mind changing, a perfectly-made oolong tea is mind blowing. The first time I tasted the intense lychee, peach and orchid flavours (no hint of astringency) of a Honey Orchid Dan Cong brewed at 90°C, there was no way I was going back to an English Breakfast from a teabag. Yet the number of times I have been served a mind blowing cup of tea in a café or restaurant, I can count on one hand. 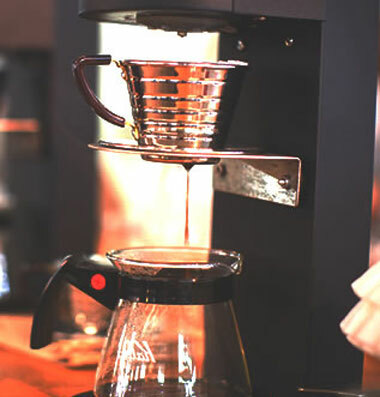 Specialty coffee shops across the country serving small batch single origin espresso and expertly crafted £7.00 cups of Geisha are still over extracting green tea with 94°C water temperature straight from their coffee machine. So in a saturated market where every other store front in London is a coffee shop, a perfectly made cup of tea is a major USP. So what’s all the fuss about water temperature? A good barista will have some awareness that green tea requires a lower infusion temperature, but maybe doesn’t understand why and what huge difference it can make to the final product. In fact all different types of tea have their own ideal infusion temperature. The required temperature is largely influenced by the level of oxidation of the tea being infused. Oxidation is a chemical reaction between oxygen in the air and enzymes in tea leaf, which occurs when the leaves are damaged during processing. It causes the colour of the leaf to darken (like a cut apple exposed to the air) and the fresh grassy flavours of the raw leaf to turn sweeter, richer and fruitier. A black tea is fully oxidised, an oolong is partially oxidised and a green tea is not oxidised at all. What does this have to do with infusion temperature? Well, it’s all to do with catechins aka tannins- these are naturally occurring polyphenols which are abundant in fresh tea- but are unfortunately majorly astringent and bitter in flavour. With the process of oxidation these bitter catechins are converted into new compounds which have less of a mouth puckering effect. 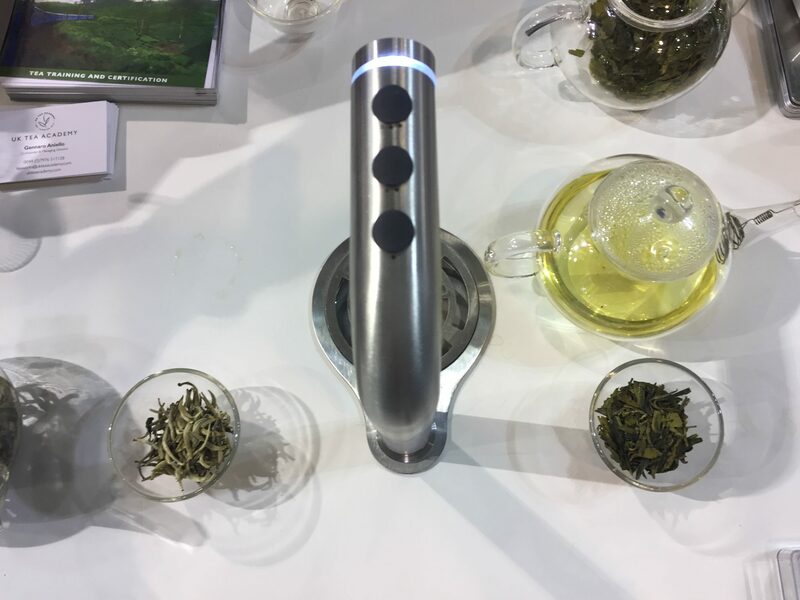 Catechins are extracted at high temperatures, so if you pour boiling water on a green tea or a lightly oxidised oolong and infuse it for 3 minutes it’s going to result in a mouth as dry as the Mojave Desert. To combat these unwanted bitter compounds we brew at lower temperatures- as low as 60°C for some steamed Japanese greens and generally between 70-80°C for a baked or pan-fried Chinese green. Usually the darker the leaf, the higher the temperature it can withstand- so oolongs are generally brewed at 80-95°C and blacks between 90-95°C. A good tea supplier will always give you an exact temperature for each tea though. So how do we achieve the correct temperature in a busy food service environment? This is a question we get asked all the time- it’s all very well and good to tell me I need 60°C water, but how do I achieve that? 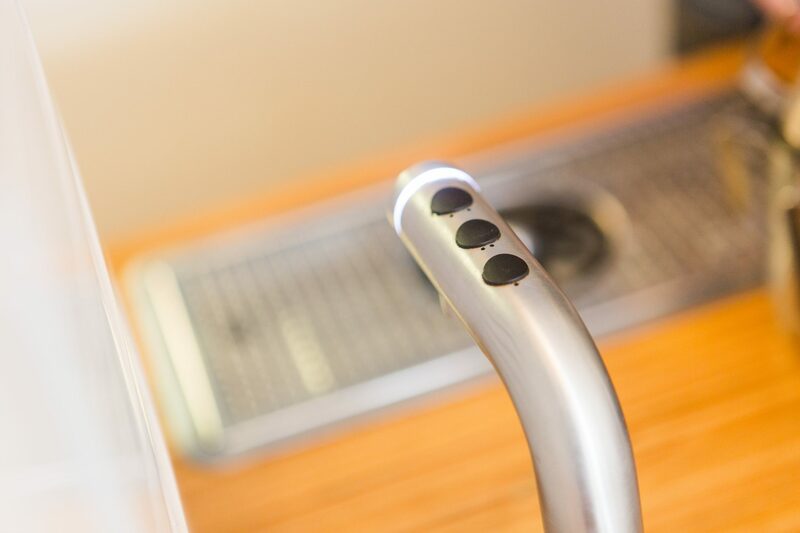 The common methods are leaving the hot water to cool for a few minutes before adding the leaf, or designing a cold to hot water ratio using shots of cold tap water. But let’s face it these options are time consuming and inaccurate. You could get a temperature controlled kettle- but again, waiting three minutes for a litre and a half of water to reach temperature is going to create a bottle neck in service. The very best option for a café wanting to achieve tea perfection is a temperature controlled water boiler. This October I had the pleasure of brewing our Dragon Well green tea and Silver Needle white tea on Marco’s MIX boiler during HOST. 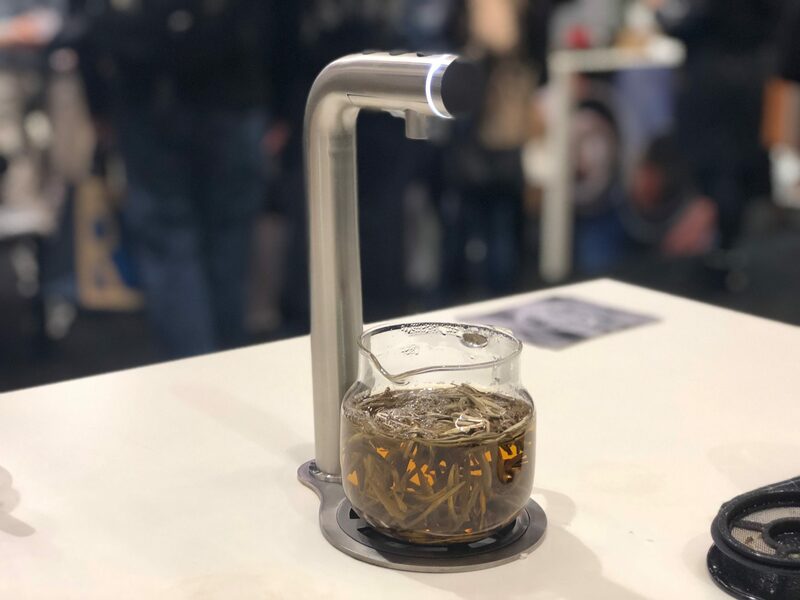 MIX is a game changer for speciality tea- with three adjustable temperature settings and three adjustable volumes it takes all of the faff out of brewing. True there are other boilers on the market, but from my experience it’s hard to rely on others for temperature accuracy. What’s great about Marco MIX is that rather than mixing the hot and cold water in the tank there are two separate lines for hot and cold which mix to the required temperature at the point of dispensing, meaning that temperature is always exact. I have found with different brands that there is usually some residual water left in the pipes so if you run 95 degrees for a black tea through and then try and pour a 70 degree for green you usually end up with about 80 degrees unless you flush the system after each change in temperature. MIX is available through a number of distributors around the world, see here for distributors. What you are getting with the MIX is reliability, accuracy and time efficiency and ultimately an outstanding final product that will surprise you customers and keep them coming back for more. Guest Contributor: Alice Evans from Canton Tea Co.